What makes a good pizza? While it may seem subjective, there’s only one thing that makes up the best pizzas – and that’s the best ingredients. Whether you like thin or thick crust, Sicilian or white, the best pizza restaurants start with the freshest, high-quality ingredients. 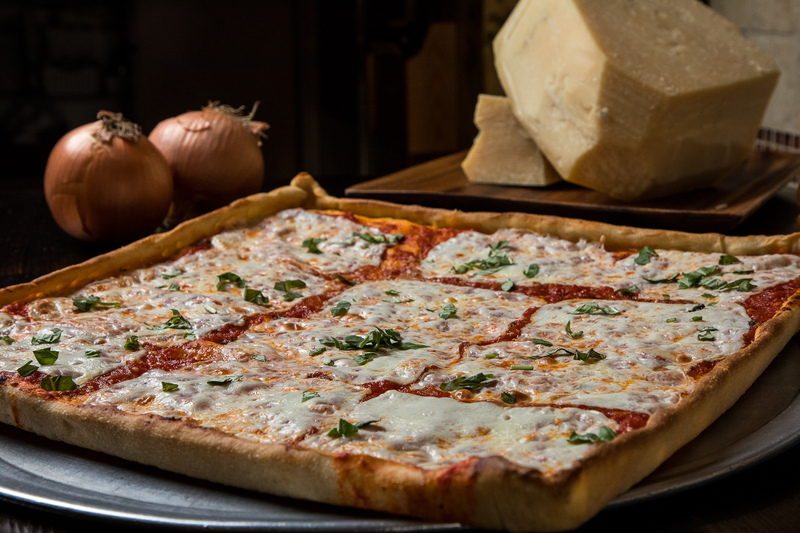 At Molinos Pizza, Manalapan NJ residents and business owners have been enjoying the most flavorful and delicious pies for years because this Italian restaurant refuses to settle for anything but the best. And even better, the size of the large pie is 18 inches, a whole two inches larger than you’ll find at other pizza places. That means you’ll get at least two extra slices than you’d typically get! What type of restaurant earns a reputation for being the best place for pizza? The kind that focuses on freshness and flavor. Here are the top five “ingredients” that make a pizza that can’t be beat. The Dough. As the foundation of the pizza, the dough needs to shine. At Molino’s Italian Kitchen, the chefs add extra virgin olive oil and eggs to the dough for a flakier, crispier pie. Visit other Italian restaurants in Manalapan NJ, and you’ll find that they use vegetable oil, which can make for a soggy, less flavorful experience. The Olive Oil. Speaking of that extra virgin olive oil, it’s important to use only the best. With a shortage of olives, these days the best olive oil IS from California. Molino’s only uses Corto® olive oil, a product that is known for awakening the palate and enhancing other ingredients. You can truly taste the difference. The Tomatoes. A typical pie requires tomatoes, and the best place for pizza will do their research and find only the highest-quality tomatoes from Italy and California. If you’re searching for “pizza places near me,” you may end up finding one that doesn’t understand the importance of using the right tomatoes. Many manufacturers of canned tomatoes will pack the can with additives like water when the best producers pack it with more tomatoes. At Molino’s Italian Kitchen, the chefs know the difference and use only the best. The Toppings. If a plain pie doesn’t quite do it for you, you’ll want a wide selection of fresh toppings. At Molinos Pizza Manalapan NJ, that’s all you get. You’ll enjoy sausage and meatballs homemade daily, and fresh vegetables that are put on raw and cooked so that the juices add even more flavor. Molino’s has become renowned as one of the best Italian restaurants in Manalapan NJ because the chefs take pizza and Italian dishes seriously. If you’re looking for “pizza places near me,” in Manalapan or the surrounding area, your search is over. You’ve found the best place for pizza right around the corner!